A cross tabulation (often abbreviated as cross tab) displays the joint distribution of two or more variables. They are usually presented as a contingency table in a matrix format, often with each survey question in the stub, and banners to be analyzed across the top. Our tabulations are delivered in Microsoft Word so that our clients are not required to purchase additional cross-tabulation software. We also provide open-ended coding services. 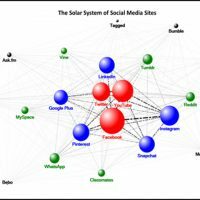 Multivariate Solutions was featured on the Research Business Daily Report on the subject of the agile use of network analysis for social networks and collaboration. CROPharma Investigator Study Tabulations showcases Fisher’s LSD (Least Significant Difference) and Chi-square testing. Independent Sample T-Test for Consumer Product Attributes highlights the differences in a consumer product between those with high purchase intent and those with low purchase intent. Jack’s Barbecue Communication Study Tabulations include all statistical tests, such as means, percentages, and chi-square.